March 24, 2019 at 2 PM. We invite you and your family to our Mad Hatter Tea at the O.Henry Hotel where we bring the story of Alice in Wonderland to life. 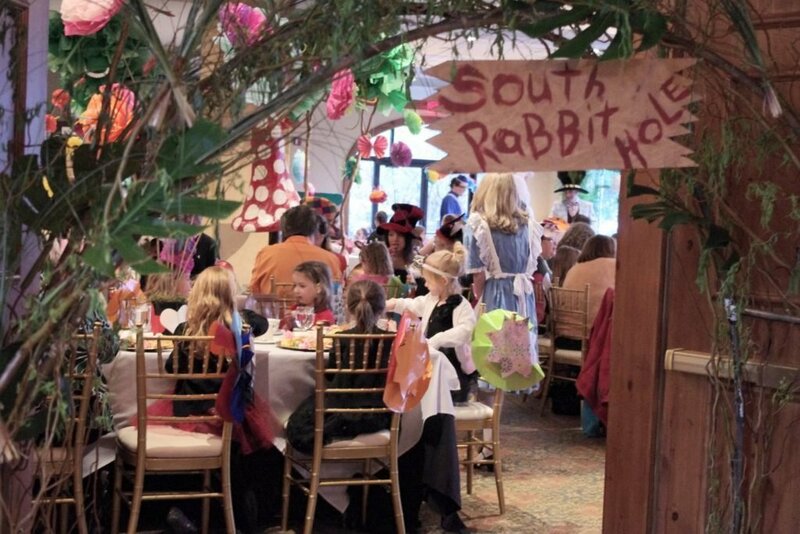 After story time in the lobby of the O.Henry, make your way through the rabbit hole for a tea party in Wonderland. Alice, the Queen of Hearts, and the Mad Hatter will make their way around “wonderland” as you enjoy special treats, crafts and community seating at whimsically decorated tables surrounded by flowers and giant mushrooms. Bring your camera to capture this magical event. Price of $60 includes one admission to the Mad Hatter Tea plus a 20% service charge. Call Green Valley Grill for questions at 336-854-2015.